American: The Bill Hicks Story — poor presentation of an intriguing man. I fear I’m beginning to sound like a broken record. People who put together documentaries really should study how good documentaries are structured (Errol Morris comes to mind). Regardless of whether or not something happens in the right order, or some stuff is left out and other stuff is kept in, there still has to be a story structure intact. Because…you are telling a story — and the rules of storytelling haven’t changed for thousands of years. Bill Hicks is a comedian that will be remembered as a great comedian. He was abrasive, opinionated, and intelligent. He also died in his early thirties of cancer. I’m not sure how they could have missed making a moving film about his life. But they did. I found the execution of the story to be a bit unfocused, but I think the primary component that I disliked about this was the method they tried to use photographs as animations to show what was going on rather than maybe interview the people in Hicks’ life. And they didn’t do it very well. It ultimately comes across as a part Terry Gilliam, part South Park, and part Hollywood True Story. I think they may have been trying to emulate The Kid Stays In The Picture, which is the biopic of producer Robert Evans, and a much better example of telling a true account of someone’s life in an engaging way. 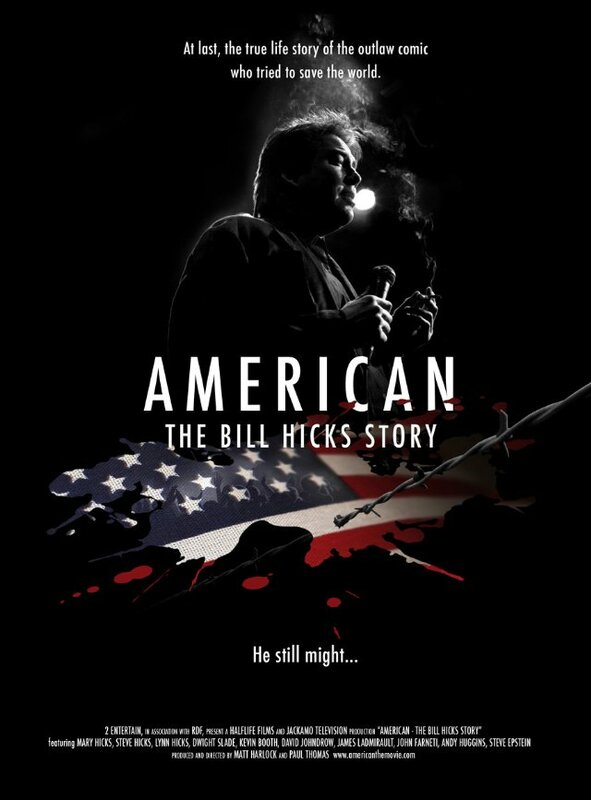 I would encourage Bill Hicks fans to check this out by the simple fact that his story IS interesting.